Daniel Rhod created The ‘Topological Deck Switch’ and had written instructions(no gimmicks) and appeared in Mephisto’s 1991 catalogue. 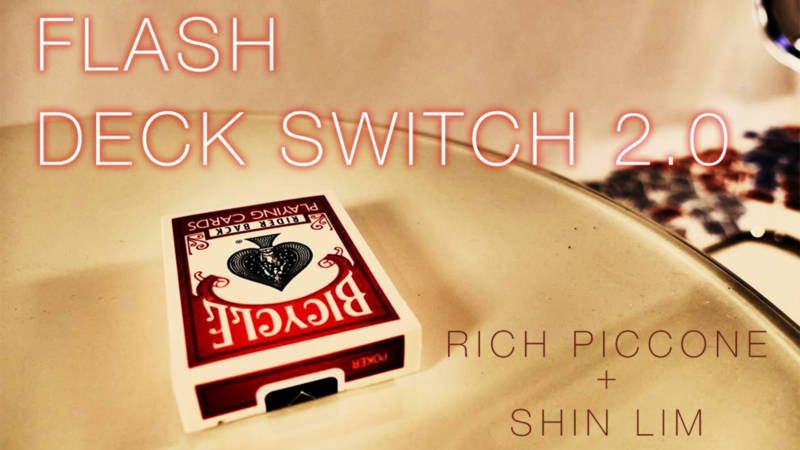 It did not inspire The Flash Deck Switch but has a similar handling. Dan Hauss:" this is cooler than cool. I love it"
Mike Hankins : “Deck switch, what deck swi…oh sh%t"
Eric Stevens(Author of Happenstance) "An absolute beauty of an idea. You WILL use this." Tom Elderfield(creator of Insight) "Wait, I don't get it. Did you just switch the decks! That's insane!" Lyndon Jugalbot(Creator of Unwritten) "Very Clever and Deceptive! I love it!" Casshan Wallace(Creator of Melt) "The Flash Deck Switch is very creative! I thought I knew what was going on and then found out I was completely wrong. I love when that happens! So many possibilities with this! Great job!" Lance Sinclair "Invisible. Clever. Unique. And Simply Ingenious! This is what happens when two great minds come together - A secret weapon that you will incorporate into your act immediately!" Have you mastered the art of performing a range of effects with one deck? 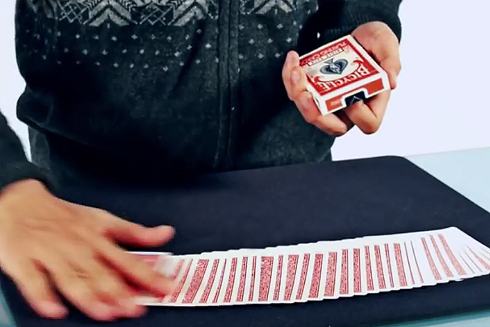 Or are you a novice amazed by how a single deck can be used in various ways? Whether you are a beginner or expert, imagine how much more fascinating it would be to manipulate two decks at the same time right under your spectators’ noses. There you will have an infinite amount of effects you can fool the audience with and no one will notice that you were switching between two decks repeatedly the whole time. Each intricate gimmick, with Bicycle print, is personally hand-crafted by Canadian magician, Jeremy Hanrahan. 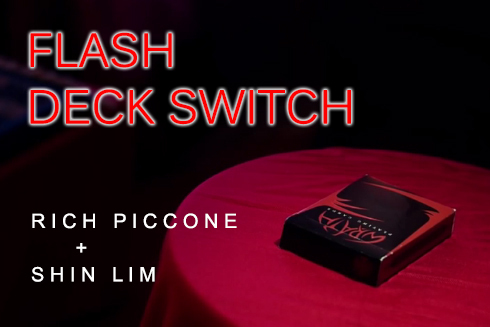 And accompanying the Flash Deck Switch comes an exclusive 60 minute tutorial from Shin Lim, where he will discuss different routines and sleights. He also teaches you to modify your already existing gimmick to make it accompany any custom deck of cards(besides the classic bicycle design) and how to perform various tricks by handling your decks differently.